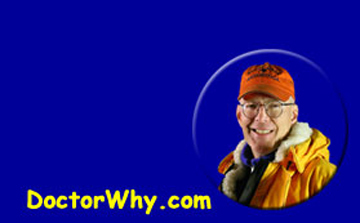 Doctor Why is Dr. Bert Yankielun, P.E. I am interested in small self-reliant systems for use in rural, suburban, and even urban settings using off-the- shelf solar and wind power hardware and that can be implemented by anyone with even the most fundamental construction, electrical and mechanical aptitude. Here are my latest experimental efforts to develop a 600 W pure-sinewave, off-grid emergency system relying on a combination of wind and photovoltaic power. So far, the photovoltaic components of the system are up and running and capable of providing a sustainable 1 kW-h per day with the current battery complement..
An array of four Unisolar 64W, 12Vdc PV panels in a series/parallel configuration providing 256W at 24Vdc. 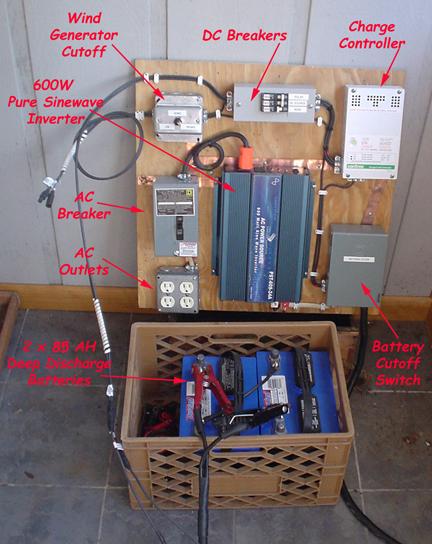 Photovoltaic and wind generator control panel with temporary battery bank. 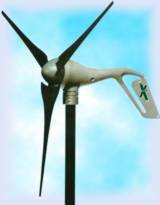 A 400W Air-X wind generator will eventually be added to the system. 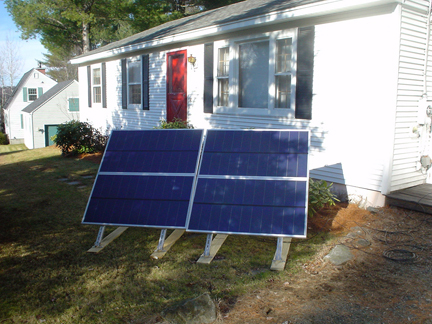 A second system, in the planning stage, is a 300- 400 kW-h/month grid-tied photovoltaic system with battery backup -- sufficient to completely supply the needs of a modest homestead. The system will employ an array of 24 Sharp 180W panels.